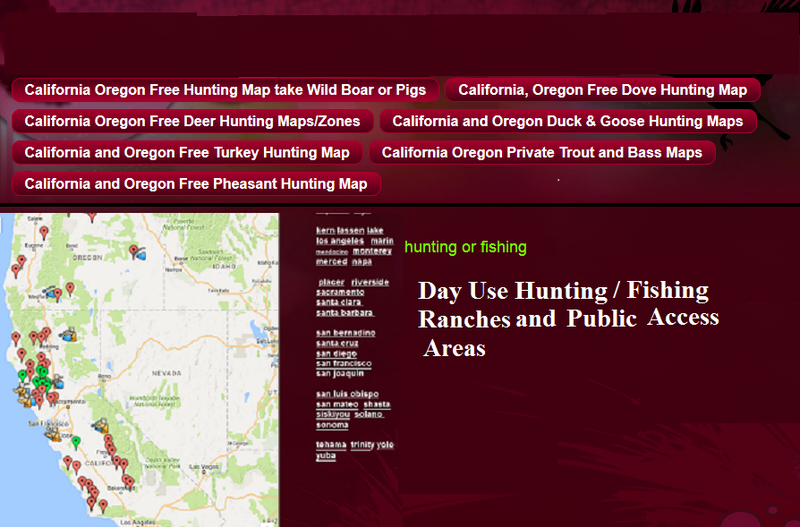 Rainbow trout from 12 to 22 inches can be had here, and you’ve only got to travel to Redding. You’ll ﬁnd the fly fishing hatch to be primarily caddis, mayfly, and stoneflies on this stretch of the Sac. Bring along nymphs in peacocks and blacks, sizes 6 to 8. Right now, the water is perfect for ﬁshing and wading. You’ll ﬁnd the best access at the I-5 bridge. Many claim this is the top producing wild rainbow trout river in California. Trout to 8 pounds come from this river, and sometimes you may even catch a steelhead and seeing occasional mayﬂies or a salmonfly fly fishing hatch. This means tossing small beadhead nymphs. A bee pattern is good, and go barbless and artiﬁcial only here. This is an triple play river. You’ll ﬁnd brown trouts, rainbow trout, and cutthroats here from catchable size at about l0 inches, to ﬁsh at 2 to 3 pounds. It can get crowded along the upper river, and you may want to go downstream for less ﬁshing pressure. Blue-winged olives, midges in black and cream, and a few adult stoneflies make up the fly fishing hatch right now. Go with streamers and nymphs for the top action. Try beadhead prince nymphs, and rainbow prince nymphs in sizes 14 to 16, and stoneflies. German brown trout? Sure enough! In the skillet variety are present or as large as 4 pounds. The Caddis are beginning the fly fishing hatch as the water warms. Bring along standard ﬂy pattems for now: elk hair caddis, blue winged olives and Adams. For Nymphing, the best tactic.is to bring a lot of lead to reach the bottom. 5. TRUCKEE RIVER: Also a triple threat in the trout department, you can catch rainbow trout, brown trouts, and cutthroat here. This is an excellent California river for beginners, mostly you'll ﬁnd rainbow trout, from 12 to 18 inches, but there are plenty of them. In May Fly fishing hatches will be midges and caddis, also try streamers, goblins and sculpin. The Reno parks provide good places to get to the water, and the trophy section can is in Verdi. Water ﬂows will dictate success rates on the river, but it’s looking not too bad right now. Brown trouts and wild rainbow trout as large as 20 inches. The fly fishing hatch includes caddis, but look for small stoneflies and pink epeourous. So try prince nymphs, stoneﬂy nymphs and Pheasant Tails in blacks, pinks, and dun. Fish deep. Best access? Ash Camp and Ahdina Camp. the short line nymph routine, and add enough weight to hit bottom. Great access is no problem all the way from Dunsmuir to the lake. brassie. Stick with pale yellows and duns for the best bite. Look to the ﬁsh barrier and PowerHouse No. 2 for the easiest access. 9. PITT RIVER: This can be a challenging river, so exercise caution, make sure to wear a belt over your waders. which portions of this California river are open. 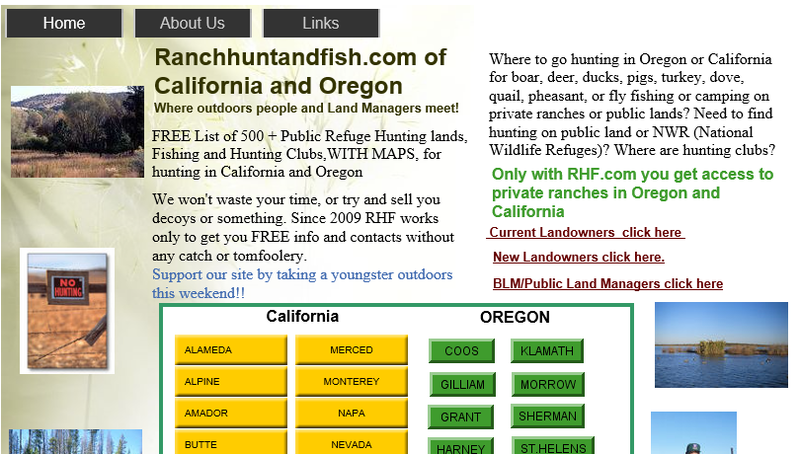 We have another site (we are rural real estate brokers who help our customers keep or buy ranch properties by getting extra income via hunters and fishermen) with mostly hunting ranches but also several excellent private trout and bass fisheries.